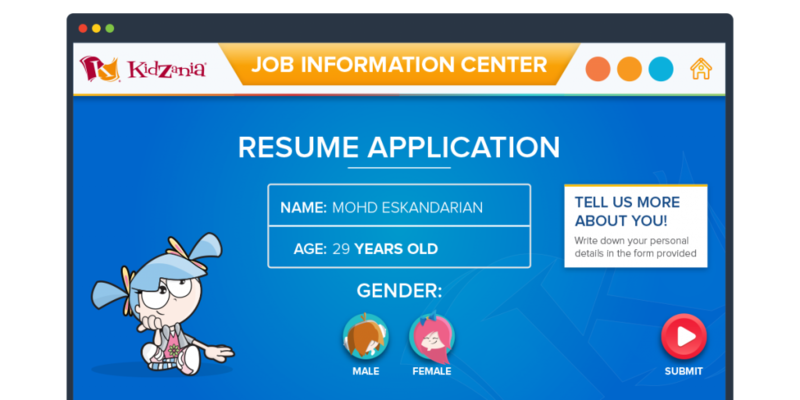 Eski Mirza: Front-End Developer & UI Designer from the awesome city of Kuala Lumpur, Malaysia. 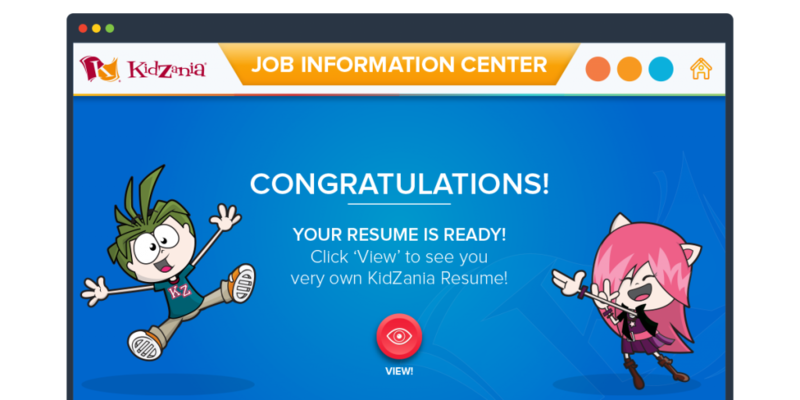 I have been working on a number of KidZania softwares since December 2011, but this is the first time I was tasked to design the UI to revamp the old Job Information Software. 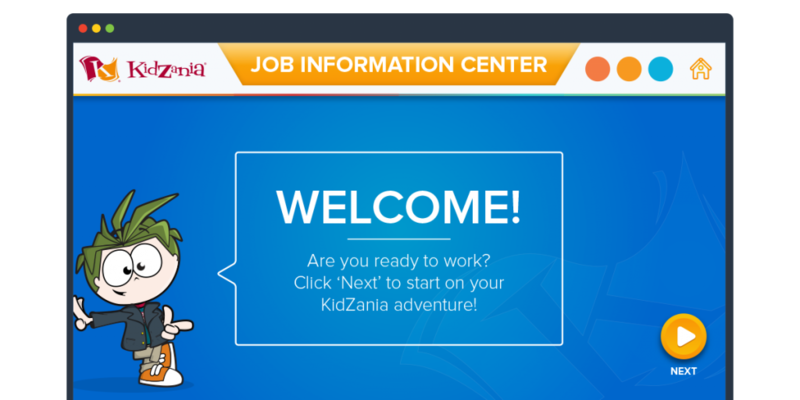 Prior to this, most of my involvement with the KidZania softwares was as the Flash developer, together with Hikmat. We are slowly shifting newer softwares towards HTML5 to reduce the dependancy on a third party software. Since this was mostly a re-skinning job, I have decided to keep the UI simple and minimalistic compared to the previous version which depended heavily on graphics and images. 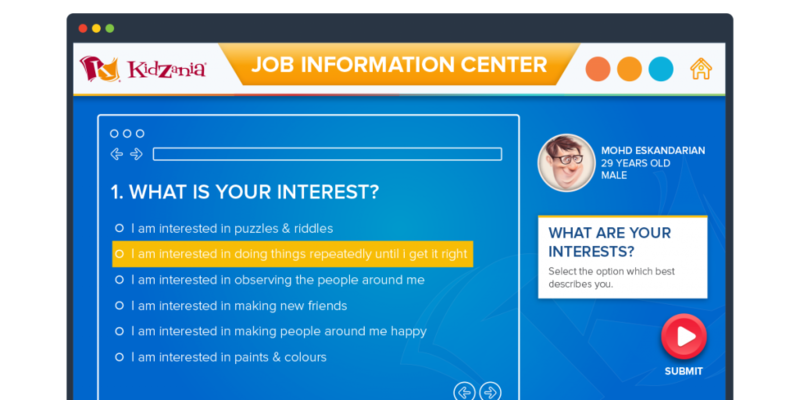 Inspired by flat design and iOS 7, the latest Job Information Centre is much more content centric and void of elements which does not server any function. 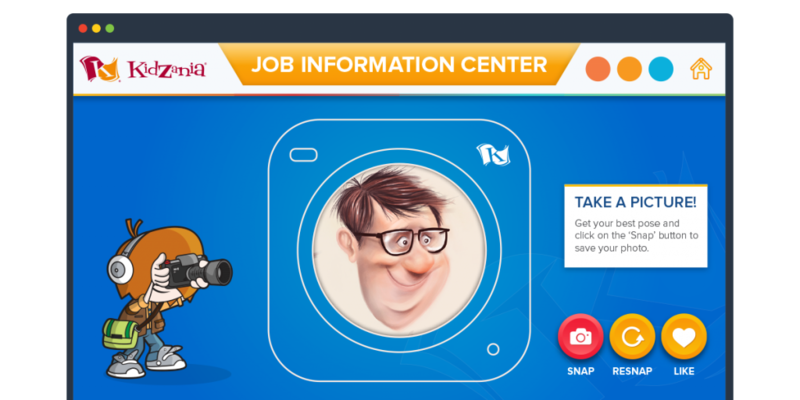 The development was done on Actionscript 3.0 and has an xml loaded question list for easy maintenance and a print function at the end so the kids could have a printed copy of their certificate. © Eskandarian Mirza 2014.Made in Kuala Lumpur, Malaysia.